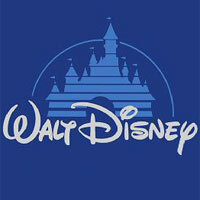 When you think high tech companies Disney doesn’t automatically pop into your head. Don’t get me wrong, the name does come to the conversation eventually, but I would gather it’s a bit farther down the list. 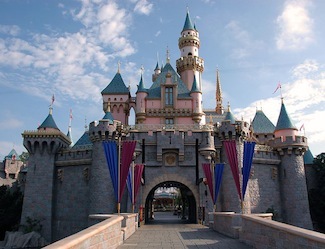 Disney’s claim to fame, well besides Mickey, Minnie and the gang, are their awesome theme parks, and if you have ever had the pleasure of visiting the “happiest place on earth” you will know that Disney Parks are the leaders in “line management”. What is “line management” you ask? Well it’s the art of weaving guests through what seems to be a small line only to have it weave around walls, doors and other attractions thus becoming a very long line. 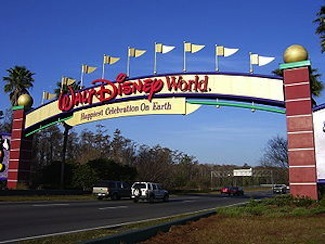 Over the years the company has implemented distractions to take guests minds off seemingly endless wait times, such as installing video monitors playing popular Disney fare. It seems that Disney’s “line management” has taken a step into the extreme high tech arena, as the video game generation has become more impatient. According to the New York Times, an underground bunker called the “Disney Operational Command Center” has been built directly under Cinderella’s Castle, technicians can keep an eye on the parks traffic flow. In a very Star Trek like setting, employees use video cameras, computer programs, digital park maps and a ton of other high tech stuff that we would salivate over. In one area people watch monitors that show various attractions represented by one of three colors-green, yellow or red, representing ride wait times. If Pirates of the Caribbean starts to form a long line the map will turn from green to yellow, and the operation center can then tell ride operators to launch more boats to shorten the line exponentially. Other options that are available to the command center is to send out a popular character to entertain guests while they are in line, such as Captain Jack Sparrow, Pluto or Mickey Mouse. Who would want to ride a boat ride when Mickey Mouse is posing for pictures and signing autographs. Another interesting tactic at crowd control is what’s called the “Move it! Shake it! Celebrate it!” mini-parade that is designed to move guests from a more congested area of the park to an area with more room without their knowledge. Let’s say that Tomorrow Land is just wall to wall people, but Frontier Land is pretty sparse, dispatch the parade from one to the other and people naturally follow. “It’s about being nimble and quickly noticing that, ‘Hey, let’s make sure there is some relief out there for those people,’ ” said Phil Holmes, vice president of the Magic Kingdom, the flagship Disney World park. According to Disney Research, in recent years, the average park guest had time for only nine rides out of more than forty, mostly due to long wait times, crowded thoroughfares and shops. In the time since the command center has been established , which has been a few short months, that average has increased to ten. This is not a huge increase but considering how long the strategy has been implemented, I would say pretty good start. Finally, another technological advancement that Disney is exploring is that of payment wristbands. These wristbands would hold personal and credit card information in order to expedite payments at restaurants and shops throughout the park. Imagine only having to swipe your wristband to pay for food or souvenirs thus cutting down on wait times. Every little bit helps and the time savings become exponential. So next time you are visiting the “happiest place on earth” and you are getting fed up with the line at Splash Mountain, keep in mind there are engineers hard at work deep in bowels of the command center figuring out ways to get you to the fun faster. What types of strategies do you use to get through theme parks faster? Do you sleep in the parking lot to be the first one in or do you strategically map out what rides you are interested first? Let me know below.